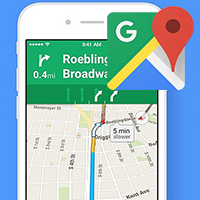 Google Maps, Waze or Apple navigation – Which is best? Watch the video! It is summer. Do you still go on vacation? Then you might rent a car and you most probably will use your own GSM to navigate to your hotel, the hottest beach and beautiful places around. If you discuss with your friend or wife which phone or App to use, here it the perfect answer! CNBC made the ultimate navigation app test. We love to share the result with you. Enjoy your vacation & drive save!